dot 1944 Kriegsmodell Yugo capture? I'm hankering to see the for-sale section of this site, so I figured I'd share some of my collection and boost the post count a little. This is a rifle I've had for several years now. When I bought it I thought it was a Russian Capture (paid $275, I believe in like 2008 at a local gun show). It was covered in what I thought was RC shellac (very well may have been a total piece-together with a RC stock). 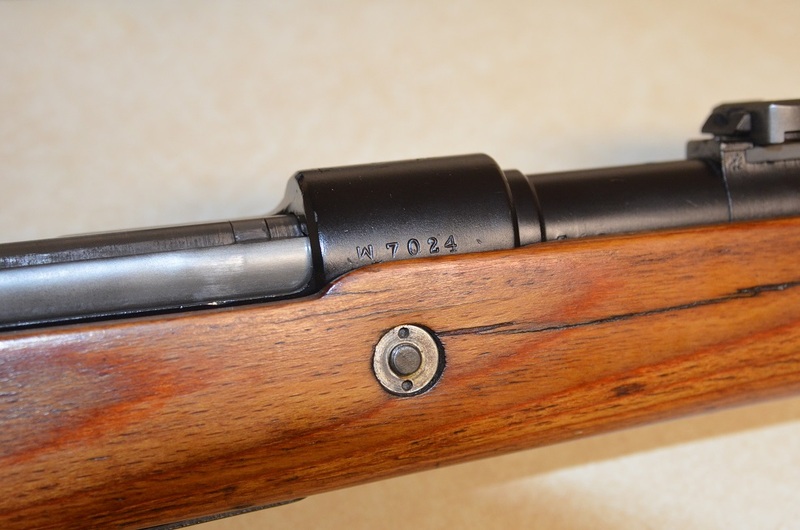 There are not a lot of surviving serial numbers on this rifle and the finish was not very great (mostly gone). The crown was also damaged. Anyway I wasn't exactly aware of what Kriegsmodells were at the time and had I known I probably would have left it alone, but in my younger youth I decided to "fix" it. I used a spray/bake finish on most of the metal, and used some of the other parts as a test-bed for my parkerizing set up. This conveniently turned out looking very similar to late-war phosphate finishes. I also pulled the barrel and recut the crown on a lathe. Anyway, here she is now. I don't shoot it as often as I used to, I miss $50/900rnd Yugo ammo, but it gets fed a steady-enough diet of Hornady 200gr HPBTs with a load that closely matches the original s.S. Patrone. I'm not sure if it's a Czech or Yugoslavian rework. There is only one dirty bird left, on the rear of the bolt handle. 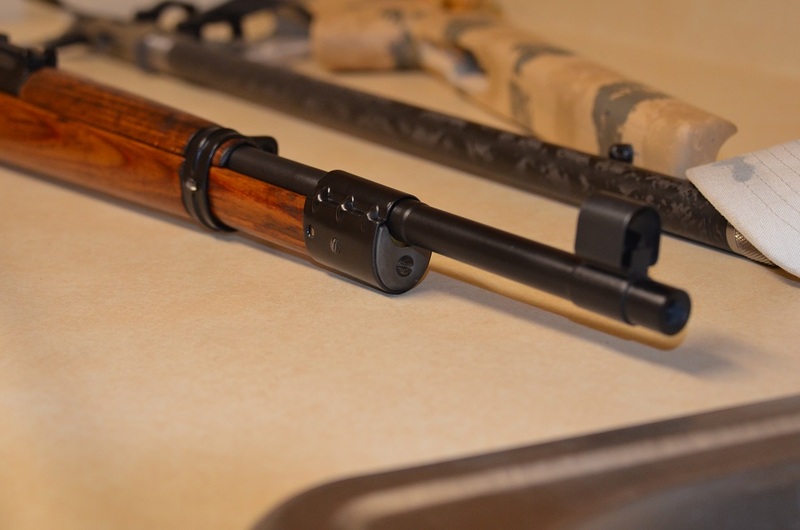 The original serial numbers on the left side of the receiver/barrel are gone (assuming they were ever there). 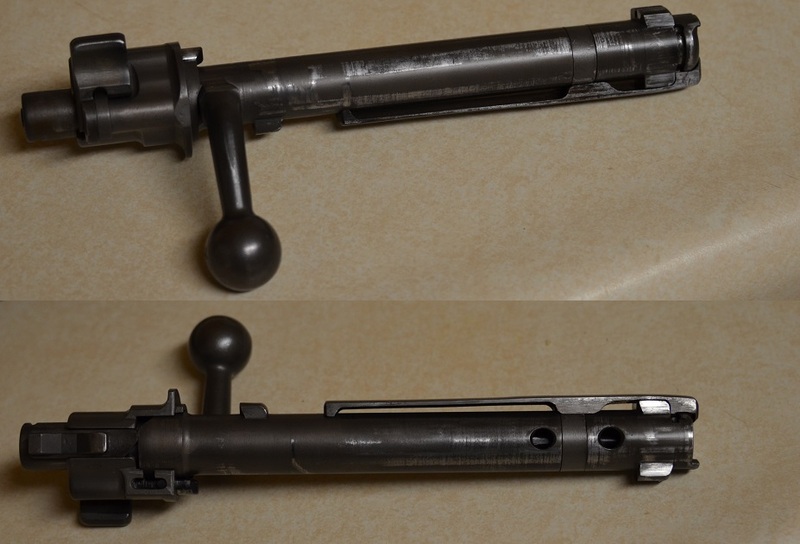 It's surprising to me that so many late-war "shortcut" parts made it onto one rifle that's such a piece-meal ordeal. Perhaps someone previous to me engineered that. Re: dot 1944 Kriegsmodell Yugo capture? Hmmm. let's see if I can get pictures figured out.